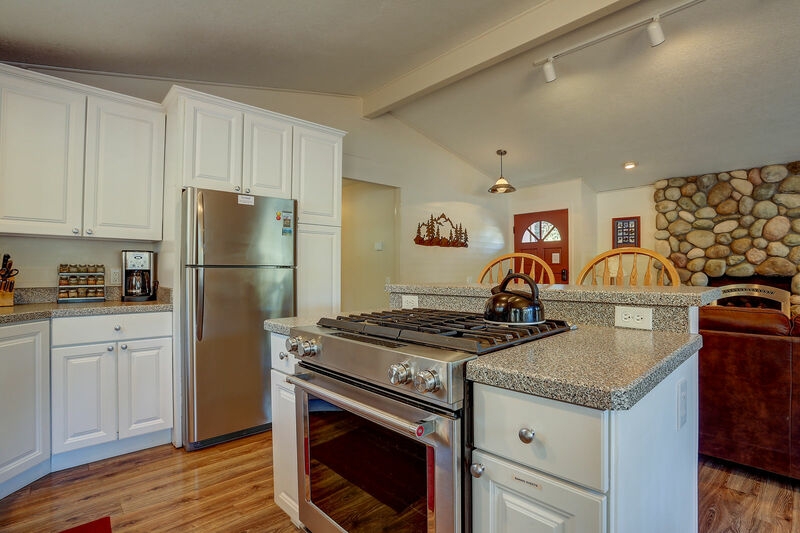 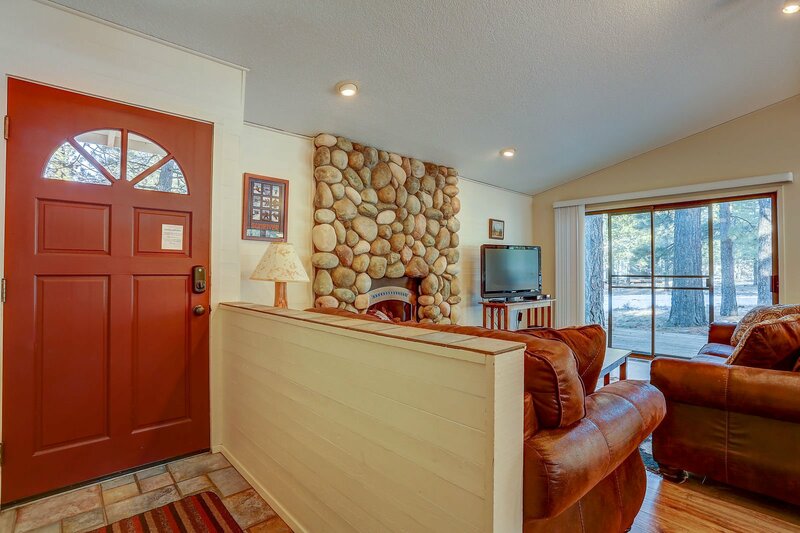 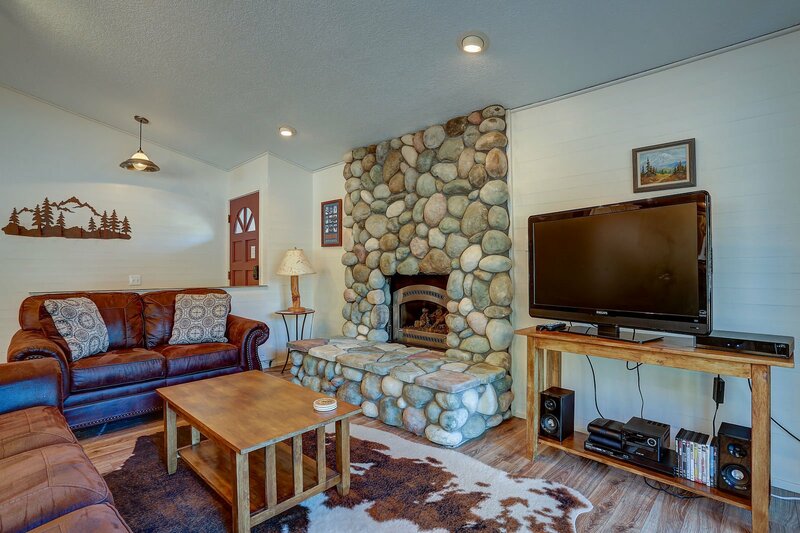 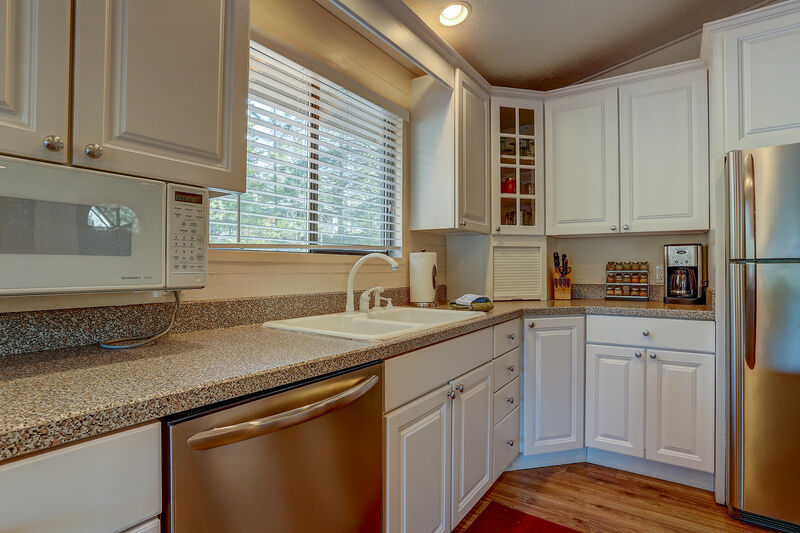 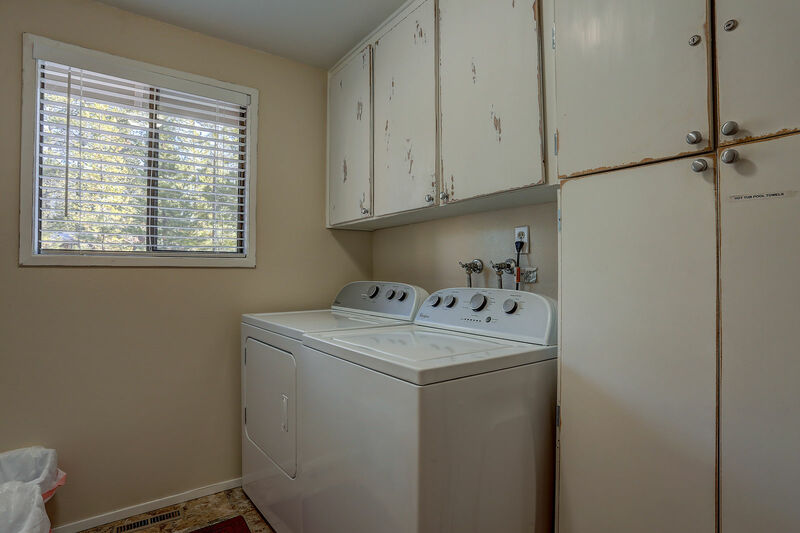 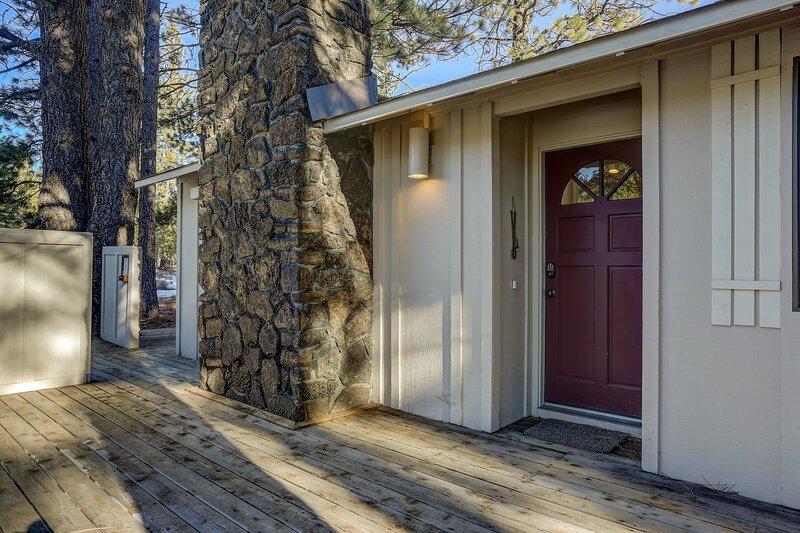 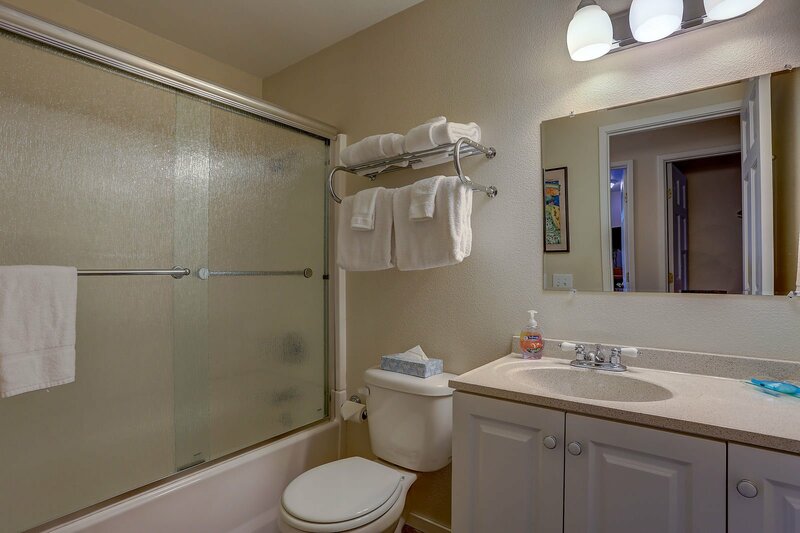 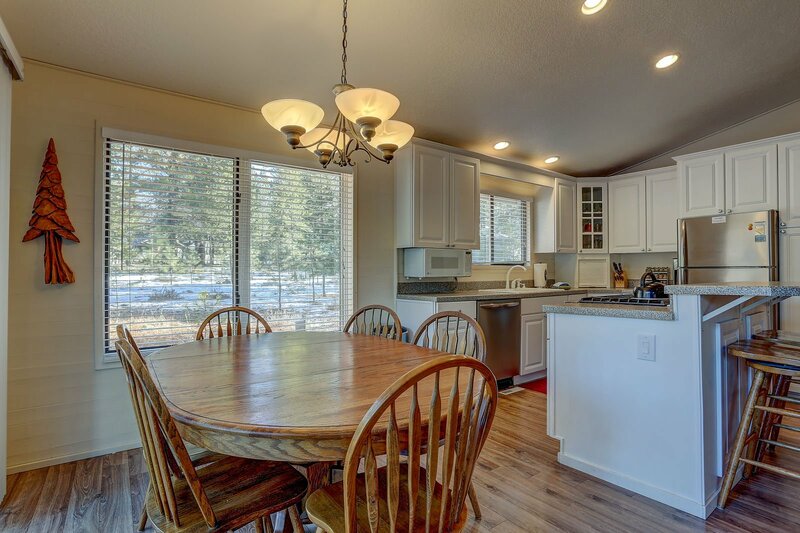 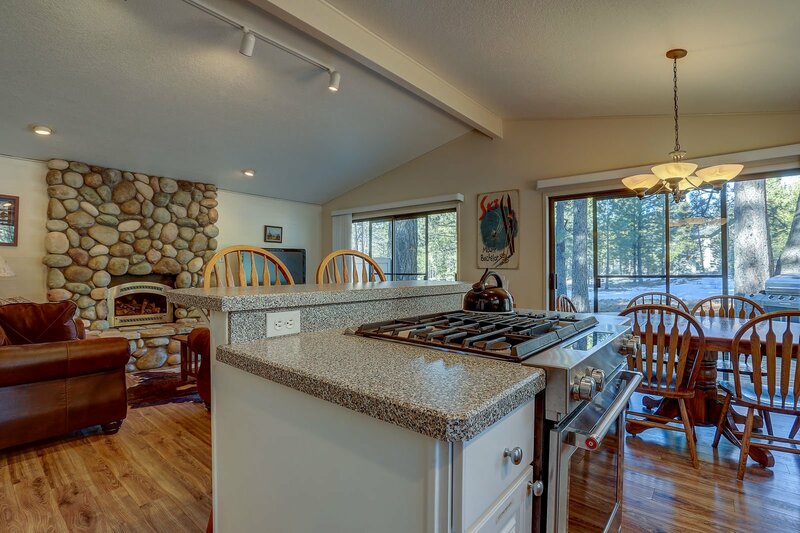 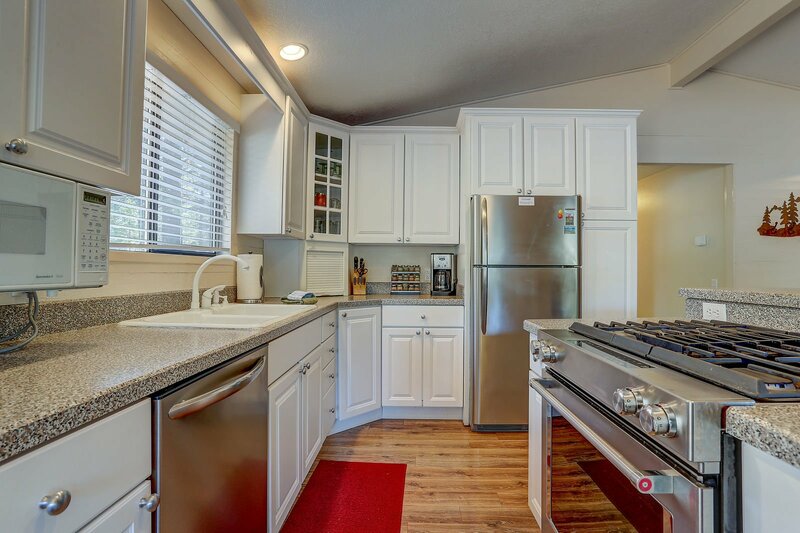 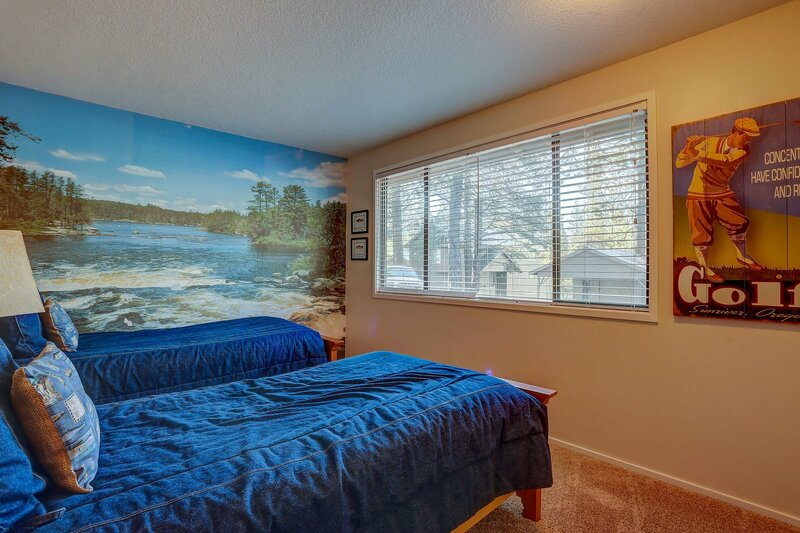 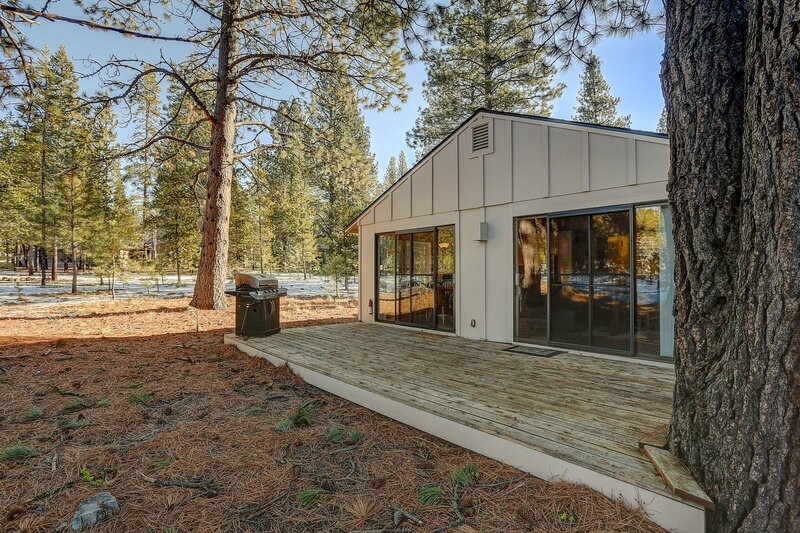 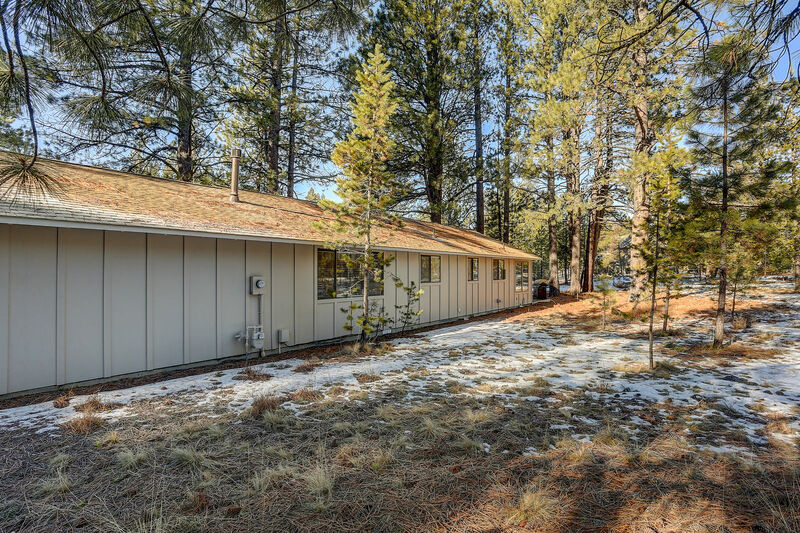 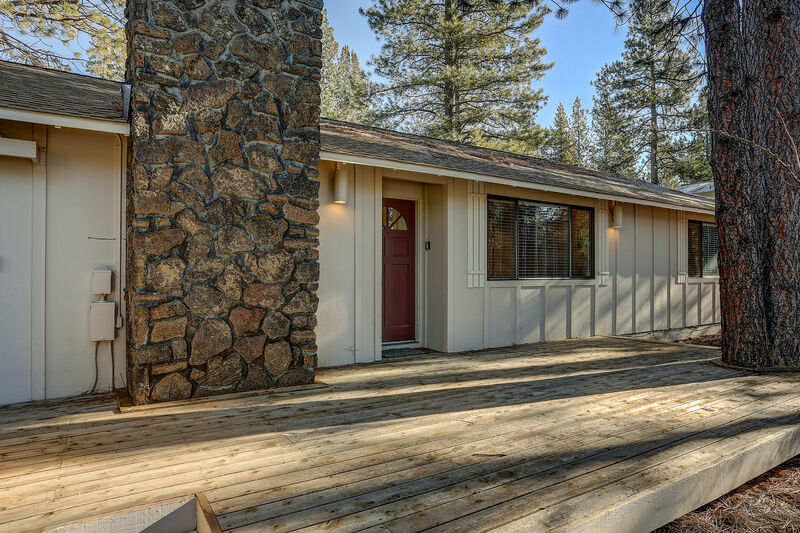 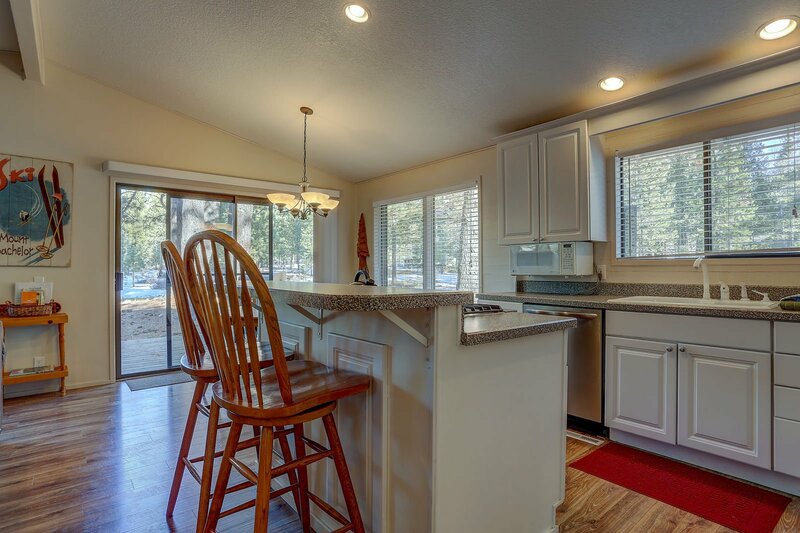 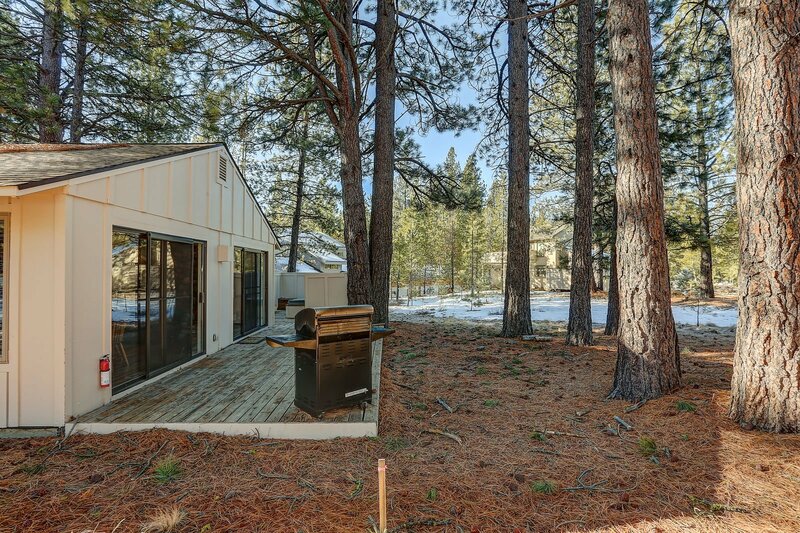 This Sunriver vacation rental is an elegantly remodeled 3 bedroom, 2 bathroom home. 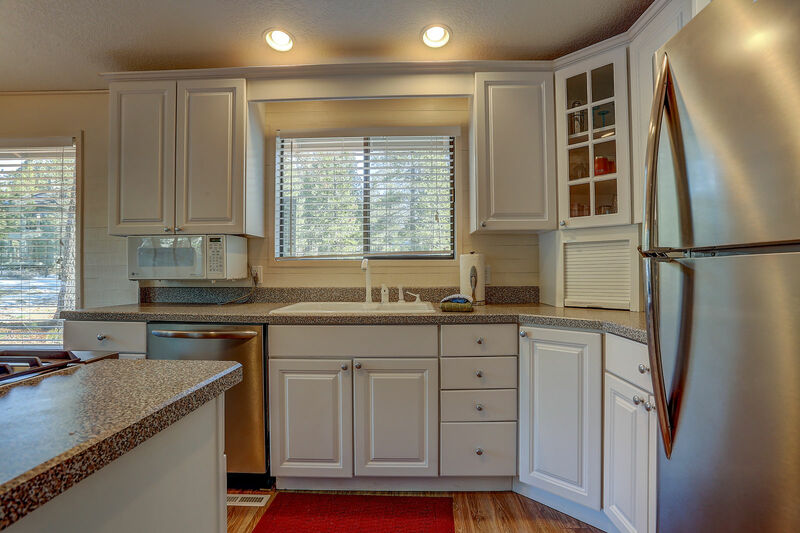 Kitchen, bathrooms, flooring, furniture and bedding are all new and inviting. 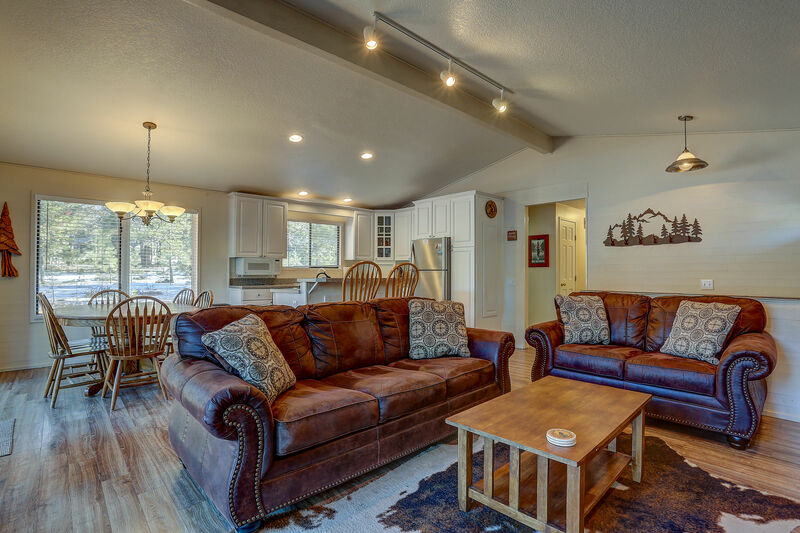 Come relax in the peaceful "heart" of Sunriver, located between the SHARC and Fort Rock Park. 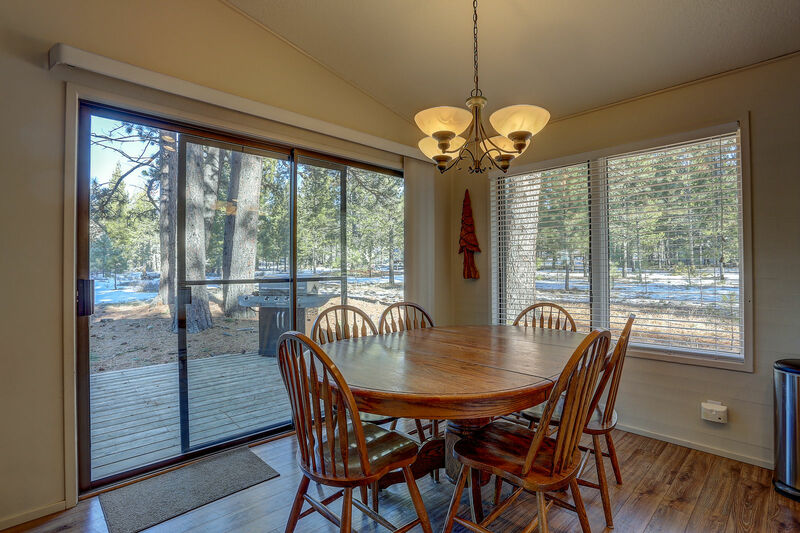 8 "Unlimited-Use" SHARC passes are included with the rental of our home. 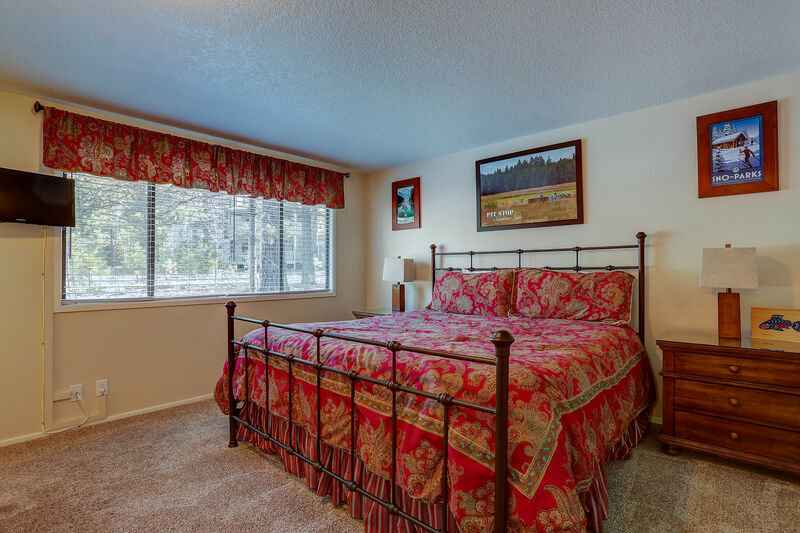 The master bedroom has a King Bed and private remodeled bathroom. 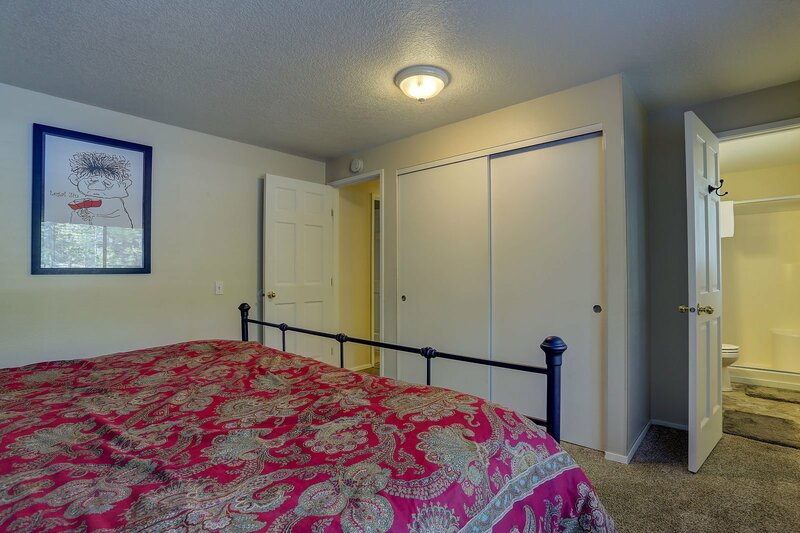 The 2nd bedroom has a Queen Bed, and the 3rd bedroom has 2 cozy twin beds. 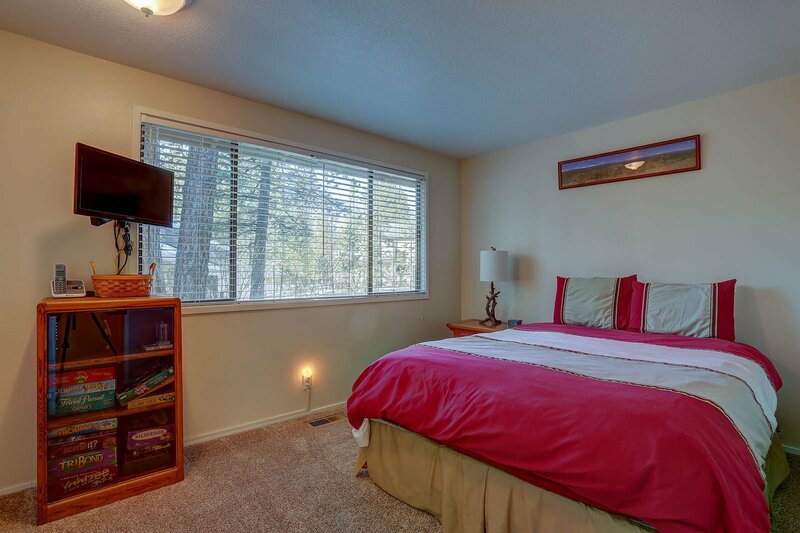 There is also a new queen sofa sleeper in the living room. 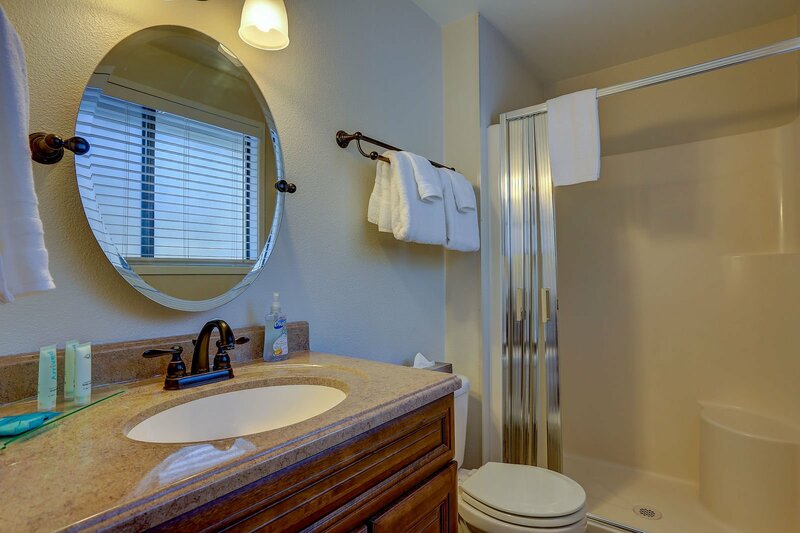 The hall bathroom has been fully remodeled, as well. 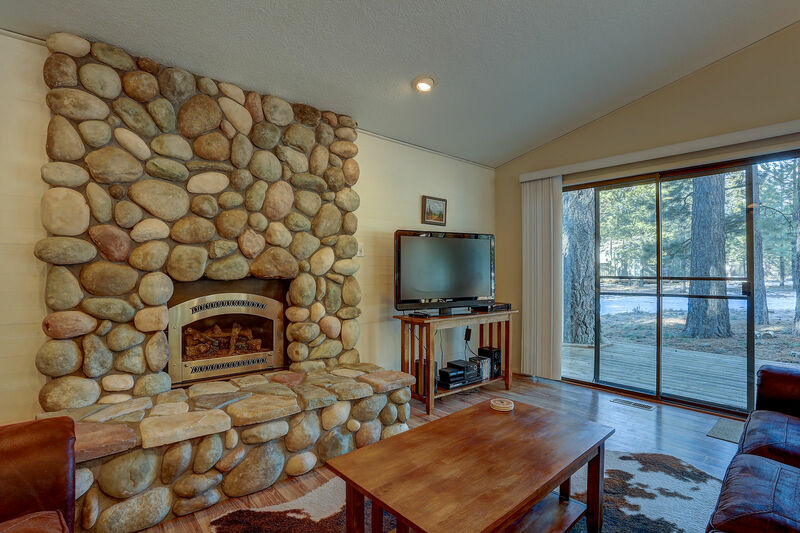 A gas fireplace, flat screen TV, and WiFi, make the open and bright living room inviting and warm. 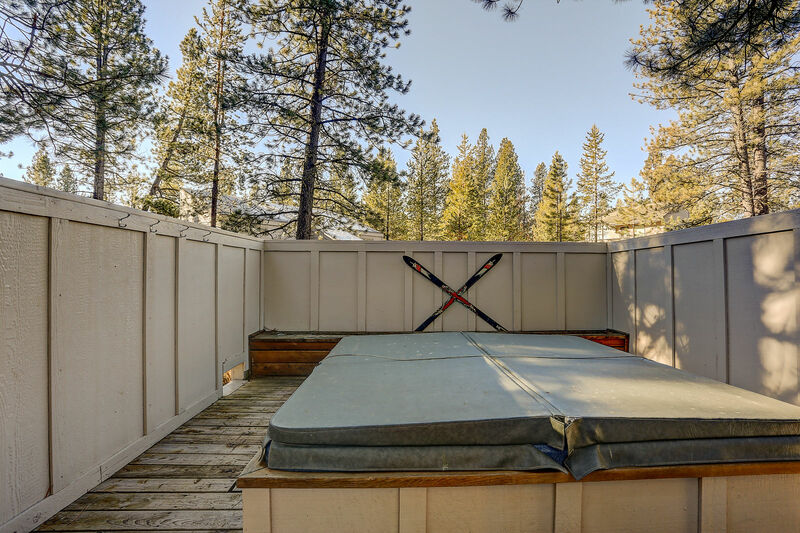 On the deck is a hot tub, comfortable patio furniture and a gas BBQ overlooking huge forested open space to enjoy the outdoors. 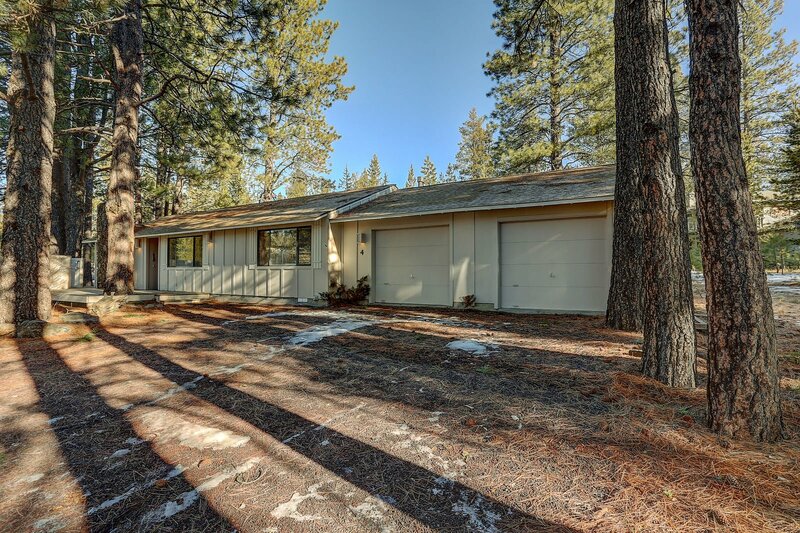 The single car garage is stocked with 4 adult bikes, 2 children's bikes and a 2-child bike trailer.